I fully empower and permit Rabbi Yankie Denburg to act on my behalf to sell all Chametz/mixtures of Chametz owned by me, as defined by the Torah and Rabbinic Law, particularly at the address/es listed below, and elsewhere. This power is in conformity with all Torah, Rabbinic and Civil laws. 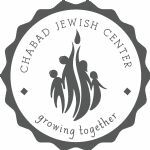 It is customary to make a donation together with the sale of your Chametz.